The Dutch (Het) National Ballet is a world-class company, celebrated as one of the top five ballet companies in the world. For more than ten years, Ted Brandsen has been the Artistic Director. Ted is a man of many words, he is charismatic, knowledgeable and deeply passionate about dance and ballet. Ted danced with the Dutch National Ballet for ten years (1981 – 1991) before focusing on choreography. The Wonderful World of Dance spoke with Ted in Amsterdam, on the eve of the company’s premiere of ‘Back to Bach’ and a tour of China. I’ve been the artistic director since 2003 and this is my 12th season. It’s an amazing opportunity to be running a company now, that was the company where I danced. I never in my wildest dreams imagined, at the time I was dancing here, that this would happen. This is the company where I grew up and it’s my home and I’m incredibly attached to it and very proud of the company. The company is not a static thing; it’s a company of people that changes all the time. You have new dancers moving in all the time and dancers retiring, so there is a constant flux and change of people. One tries to keep going with that change and at the same time keep a sense of identity for the company. I think that’s important for any ballet company – to maintain a real sense of who you are, and why you are different, and what your contribution is to the world of dance and to the art form. How do you describe the company; what defines the company? Within Holland we’re the only ballet company, therefore we have a responsibility to show the full ballet repertoire from the great classics to the latest creations – the full broadness of the spectrum of dance and ballet. Within the dance world on the international scene, we’re a company that has a relatively young tradition because we’re only in our 54th year, officially founded in 1961. So we’re not an old, long established company. Also, there isn’t a long history of ballet appreciation in this country, so when this company started to take off in the 60’s, it was in a period of innovation and revolutionising the art forms – we’re talking about the 60’s and 70’s when things were changing rapidly in society and in the arts. At that time the classical art form was being established and finding it roots here in this country. The company was also creating new work all the time and that sense of innovation, that spirit of adventure, has always been very important to our company, and that’s what distinguishes us from other companies. Our repertoire is eclectic, the classics are unfussy and not mannered, clean and crisp. Our company has a lot of Balanchine, which has been a very strong influence as well as the heritage of Martha Graham, who influenced so many choreographers and ballet in the 60’s. From the beginning of the company, contemporary dance and classical ballet were fused and the choreographers that worked here, and came out of this company, used influences of contemporary dance in a very natural way. For us contradiction is normal, but we now have dancers coming in from abroad who have no idea what you mean because they haven’t had that background. What defines us is the sense of contemporary and classical ballet mixing together, a sense of adventure and curiosity of new ways of living the art form, a spirit of innovation but based on tradition. What is your vision for the next five or ten years for this company? 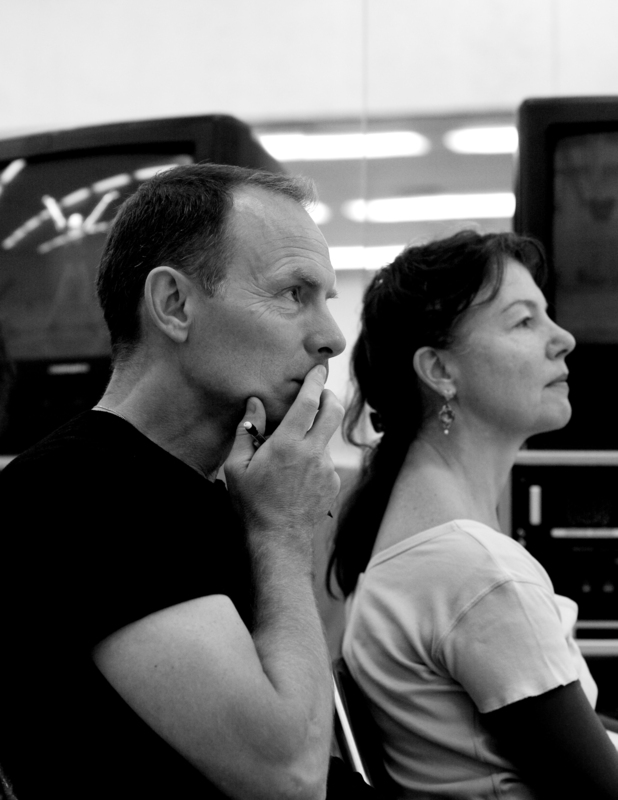 Over the last few years we have increased the collaborations with international choreographers which we will continue. But we will also redefine our own identity with choreographers that are close to us and coming from this house. I’m also very passionate about stimulating young talent and young choreographers and we need to find room for that. Part of our policy over the last few years has been to introduce new full length works to our audiences and we aim to bring in a new work onto our repertoire every year – be it something that we completely produce ourselves, a co-production, or a title that we’ve never done. We definitely want to continue to keep bringing new ideas and new inspiration to both our audiences and our dancers. We have some interesting collaborations planned with other companies, both international and nationally, and with some more contemporary companies. We’re also looking at expanding our international profile and this year we’re touring a lot, actually a ridiculous amount. We’re going to China for two weeks now, then going back to Hong Kong for a week in March, St Petersburg in April, as well as London for a week in July 2015. We’re away for a full month on tour, which is a lot for us because we are a resident company and we just don’t have that much time to travel, but it’s very healthy for our company. I feel that the company is at a place where the dancers feel confident that they can take risks and they can make mistakes and they can push themselves. I think that’s certainly a quality I’d like to see further. And over the next few years, there’ll be more international adventures and more new works. 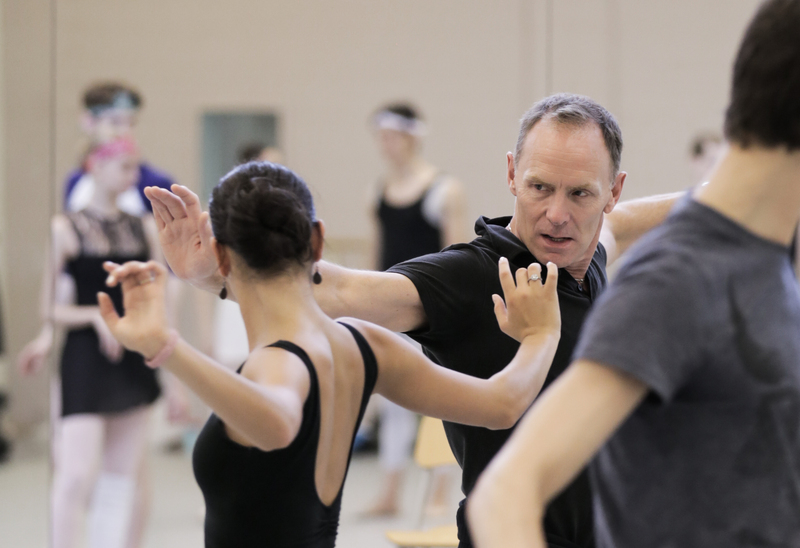 How do you describe your approach to the role as artistic director? I am an inclusive director, I listen to my team, I’m always open to dancers. I believe in inspiring people and my role as a director is to make sure that other people can shine – choreographers and dancers. I aim to provide them with the possibilities for them to shine, and that’s challenging because there’s never enough time. There’s never enough money and there’s never enough opportunities to accommodate everybody, so you have to make choices and these choices can be difficult and it can be disappointing. More often than not, you can’t give people what they want, and it’s my job to try and explain that to people so that they can understand without feeling disappointed, crushed, or in any way devalued, because I think dancers are great artists. Everybody is unique. Everybody has a talent. I wish I could give everybody the same amount of nurturing that they need and deserve, but it’s just not humanly possible. How do you choose which dancers to promote and which ones to give roles or who to recruit? We now mainly recruit younger dancers for the junior company. We look for talent, physical ability, line; potential talent, musicality and whatever you can see in an audition of someone’s personality. You can usually get a sense, but it really is who has good instrument, who can do something with that and where can you see potential. When you look at casting and promotions, again it is partly the physical talent, but it’s also the work that someone puts into it. Physical talent is only the beginning and there’s so many dancers who have perhaps a limited physical talent, but because of their hard work and their passion, they maximise that and become interesting artists. There are a lot of people who have fantastic physical ability, but not necessarily the talent to exploit that and to do something with that, and they don’t always become the most interesting dancers. I’m more interested in interesting dancers who have something to say, who have something to give, those dancers who have to be on stage. Dancing is a hard job – you better really know if you want to do it.